Let yourself be surprised by “La Selva Barcelona”, a jungle space where you can experience truly wild sensations. Travel and get into a unique environment that will take you to discover new flavors and impressions. 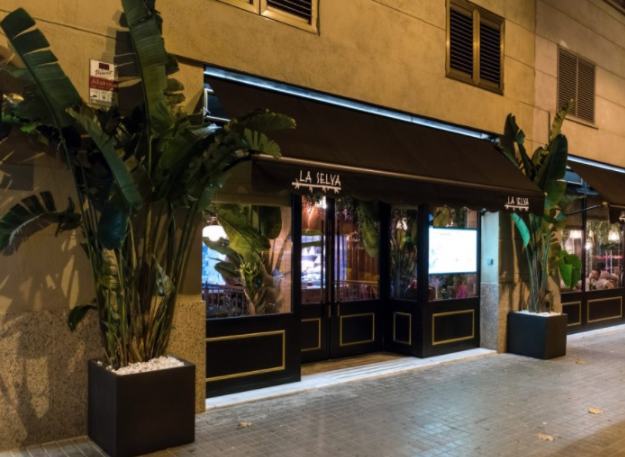 Enjoy not only the best grilled meats but also amazing starters, find the day’s catch of fishand seafood, tasty and fresh salads, our catalonian-spanish class wines and an exquisite combination of chef guided desserts. A premium product, Dry-aged mature meat in Galician cattle over 10 years old, and a Dry ripening process. This is the combination that makes our meat unique in its flavor. In this process, the meat rests at a specific temperature and humidity for 30-100 days. The result enhances its texture, flavor and tenderness. Cross our doors and immerse yourself in the tropical jungle. 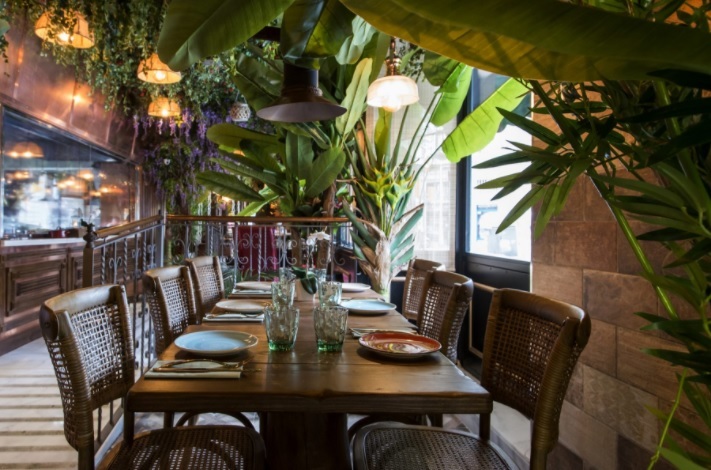 Enjoy a new atmosphere: palm leaves, exotic plants, a warm light, the touch of bamboo, wooden tables, the smell of grilled meat. Feel, breathe, try. Your wildest instinct begins to emerge. Do you want to join our team? Go for it!